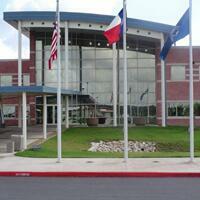 If you need information about a detainee that is housed at this facility, you may call (956) 547-1700, 24 hours a day. When you call, please have the individual’s biographical information ready, including first, last and hyphenated names, any aliases he or she may use, date of birth and country of birth. Detainees cannot receive incoming calls. If you need to get in touch with a detainee to leave an urgent message, you must call (956) 547-1700 and leave the detainee’s full name, alien registration number and your name and telephone number where you can be reached. The detainee will be given your message. Visits shall not exceed one hour. Daily, 8 a.m. - 9:30 p.m.
A list of pro bono (free) legal organizations will be posted in all detainee housing units and other appropriate areas. This list shall be updated quarterly. If a detainee wishes to see a representative or paralegal from that organization, it is the detainee’s responsibility to contact them for an appointment..
Consular officials may meet with their detained nationals at any time. It is requested that prior arrangements be made with the ICE Supervisory Detention and Deportation Officer to the extent possible, and that consular officials bring appropriate credentials when they come to the facility. The ICE Supervisory Detention and Deportation Officer for this facility can be reached at (956) 547-1700.